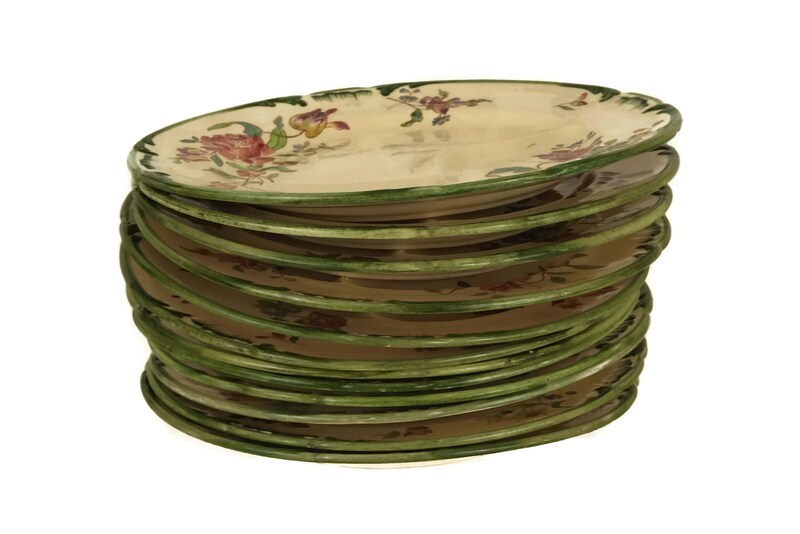 A beautiful antique French asparagus dinnerware set for 12 guests. 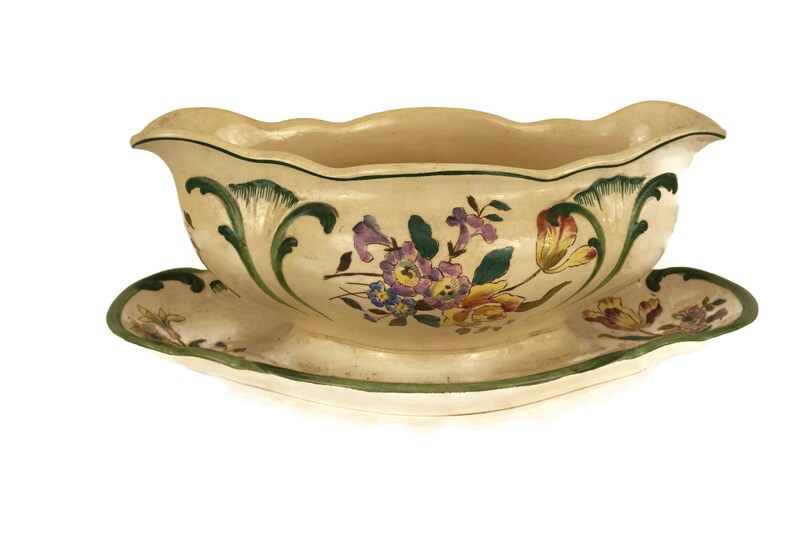 The set was manufactured by the famous Longchamp faience company in the 1920's and features a charming spring flower pattern. 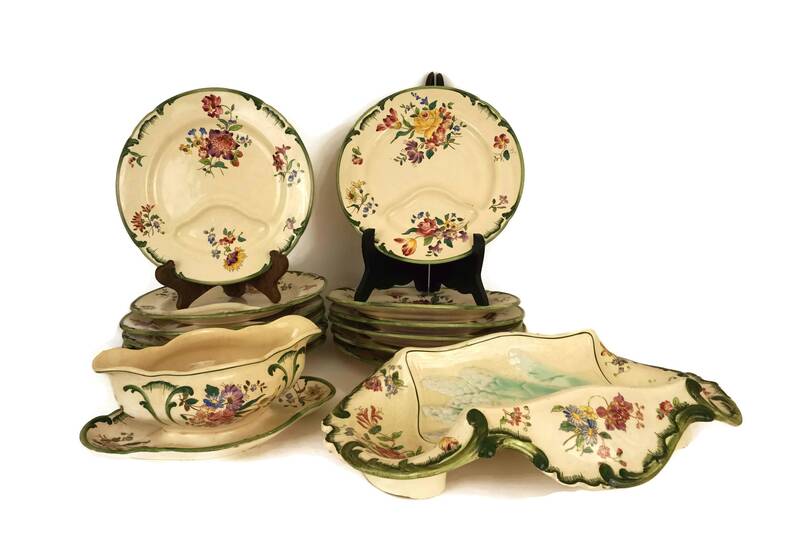 The asparagus dinner service includes a large platter cradle, a sauce boat and 12 asparagus plates. 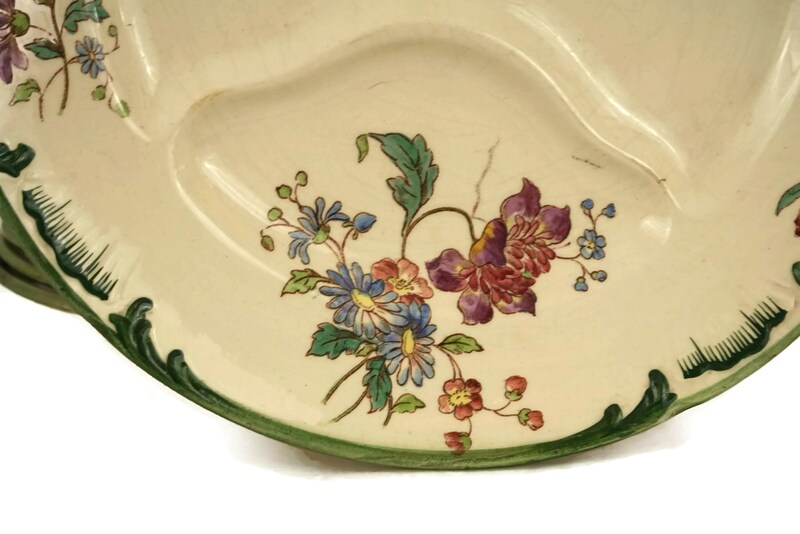 Each piece has features a floral pattern that has been hand colored. 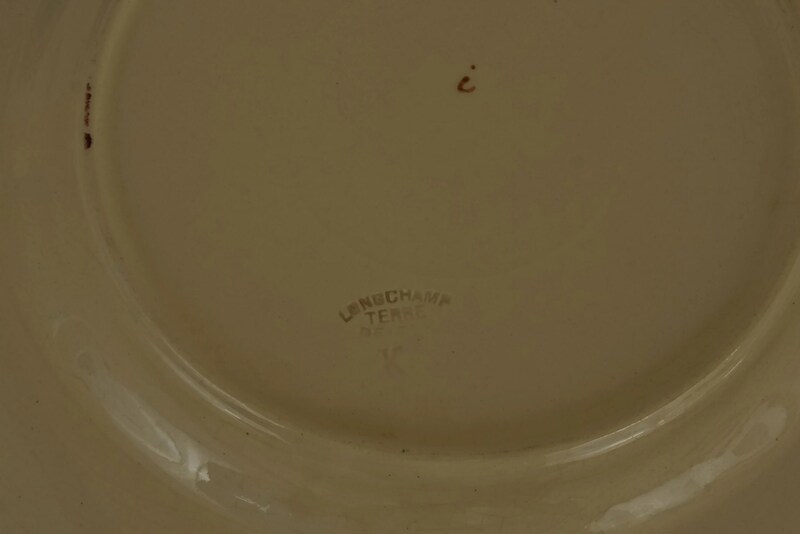 The undersides have been stamped with the Longchamp maker's mark. 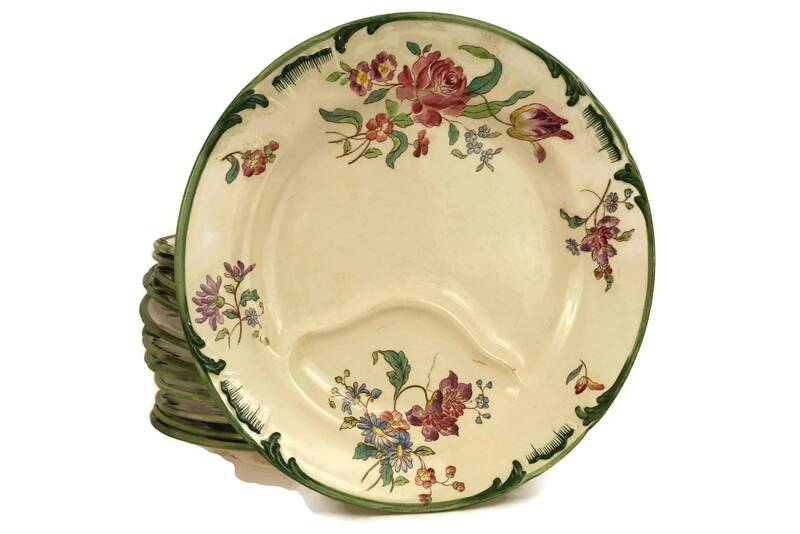 Server Platter: 16" Long x 12" Wide x 3" Tall. 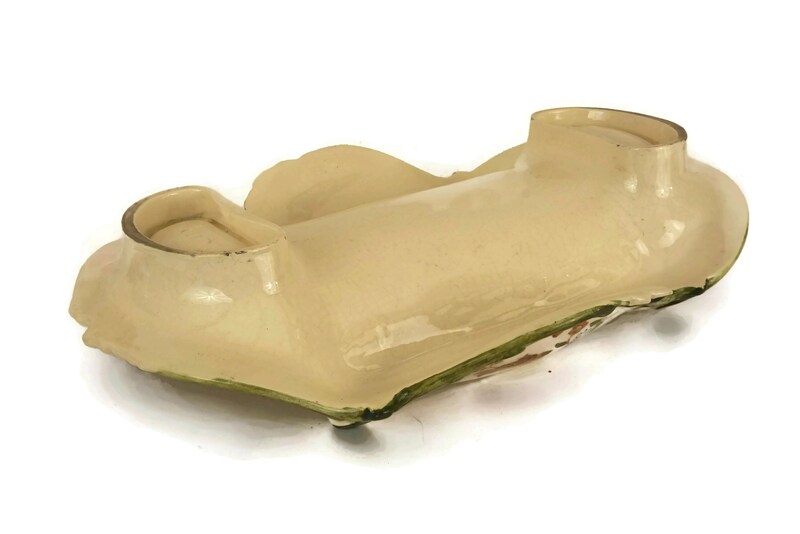 (40 cm x 30 cm x 8 cm). 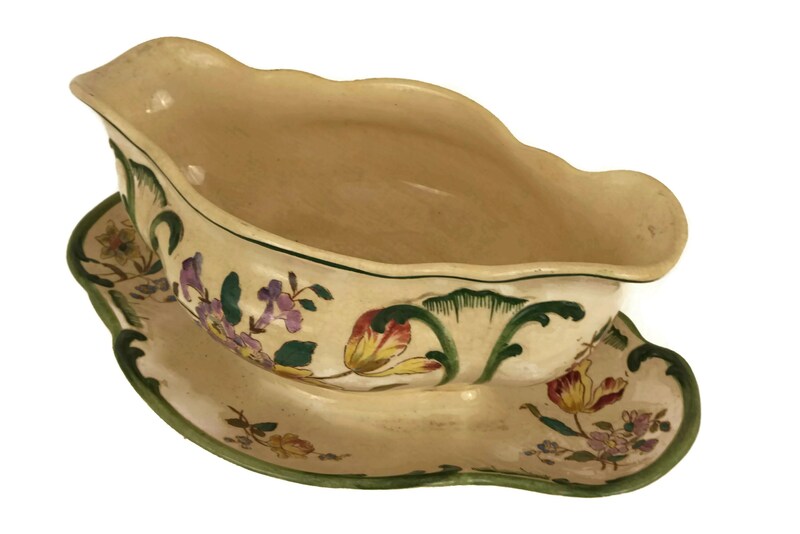 Sauce Boat: 9" Long x 6" Wide x 4" Tall. 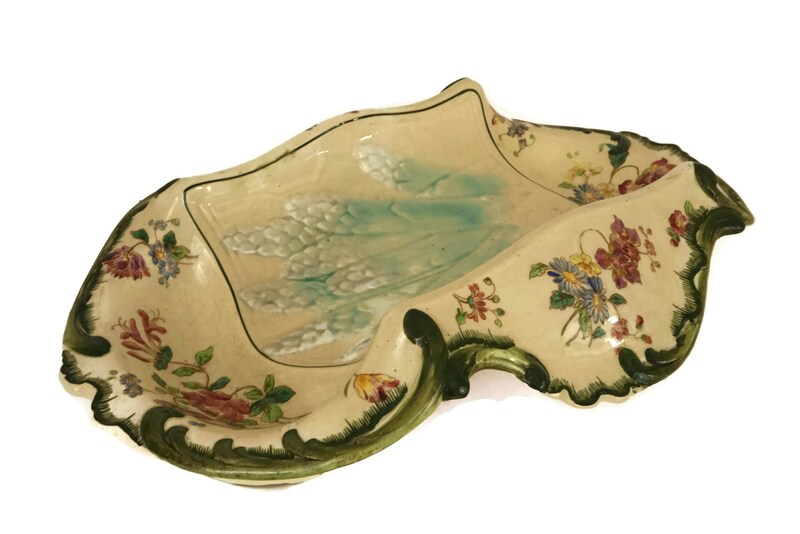 (23 cm x 15 cm x 10 cm). 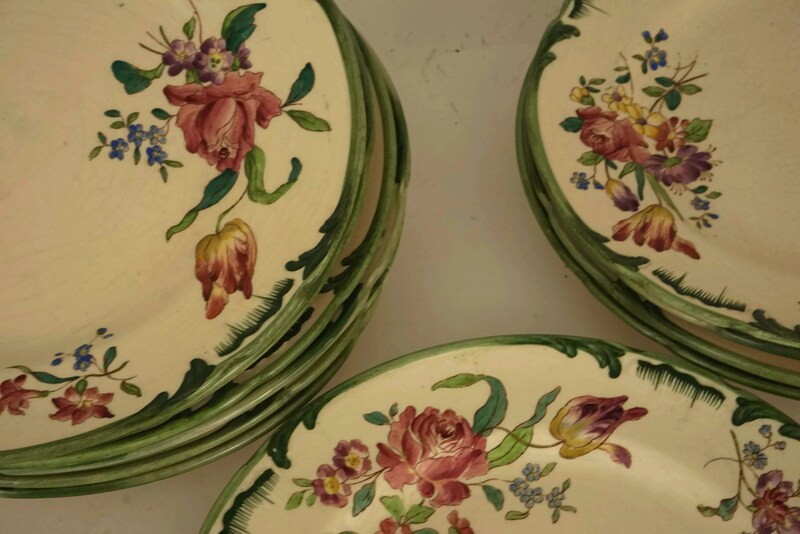 The asparagus dinnerware set is in very good antique condition with some light signs of age and wear including some glaze crazing.